Never thought a rat could be sweet, but I changed my mind after meeting Maria Ritter's Wilhelm. That's why I'm pleased to partner with iRead Book tour to introduce to you Wilhelm, who's featured in Ritter's new tale (tail -:D!) 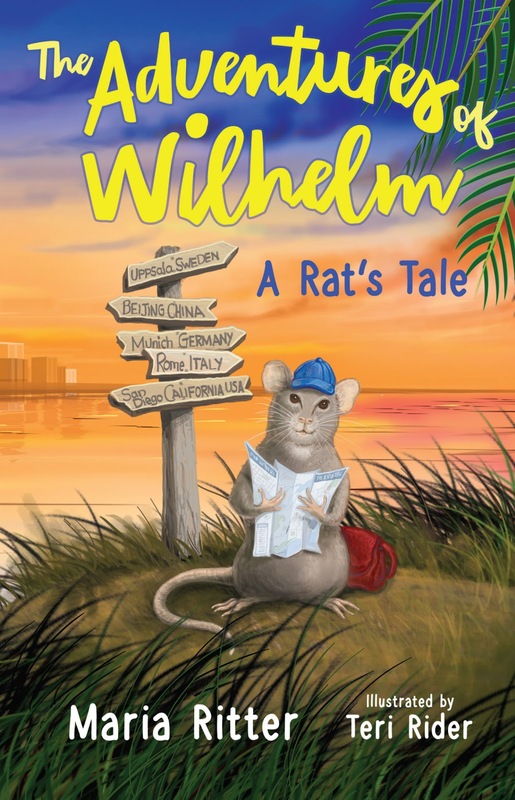 for middle graders, The Adventures of Wilhem, a Rat's Tale. 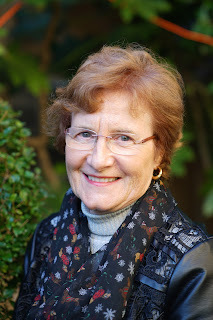 Read on to learn more about the book, meet the author, read my review, and enter by 5 April for a chance to win a print or digital copy of this book (open to US residents only). ​Good luck and happy tales/tails! Maria Ritter’s adventure for middle-graders, The Adventures of Wilhelm, a Rat’s Tale, is a travelogue that follows young Wilhelm as he leaves home to explore the world rodent-style. On his way, he encounters characters ranging from scientists and gnomes in Sweden to opera rats singing at Oktoberfest in Germany and church mice on a tour bus meeting the Pope in Italy. Wow! These and more comprise the ratly world Ritter brings to life, where garbage is good and trash is nice. Wilhelm gets into unique rodent predicaments at every stop on his journey. As a service rat in a Swedish hospital, he stuns doctors by diagnosing sick children by sniffing out sources of their ailments with his nose. Wilhelm’s antics expand with every diverse culture he meets. Tongue-in-cheek travelogue snippets are a hoot, though not all kids might catch them. I couldn’t stop chuckling over Wilhelm’s grandmother, who is introduced as the ratriarch of his German rodent family. The author provides a glossary after each chapter to explain vocabulary. She also adds discussion questions at the end of the book, so kids can reflect on what they’ve read. Some middle-graders may not make the cognitive leap from this cute fable to its real-life implications, yet children are still exposed to positive moral lessons. As an adult, I appreciate Ritter’s book as an allegorical novella about prejudice and the journey to acceptance. Weighing in at 210 pages, I recommend The Adventures of Wilhelm to upper-elementary graders, who are strong readers interested in world culture. Wilhelm also appeals to adults who want a short travelogue that nudges assumptions about social inequities with humor and wisdom. Disclosure: I was given an advance review digital copy of this book and wish to share an honest, unbiased opinion of my reading experience.